The brand-new House of Blues has reopened at the Anaheim Garden Walk after closing its Downtown Disney location last year. This new location features over twice the space of the previous, giving guests a better experience, allowing more concert-goers to attend shows and more options for VIPs. The new VIP lounge, The Foundation Room, features a private lounge and bar for members of the VIP club membership program to relax before their show, opening to the 2nd floor of the concert venue with reserved seating. Downstairs in the general viewing area there is many bars for food and drink and more space to have an enjoyable concert experience. 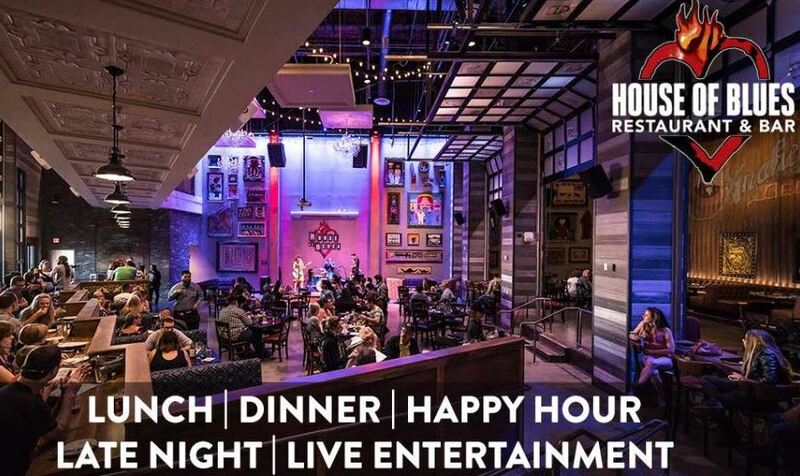 Open daily for lunch and dinner the House of Blues Restaurant and Bar features an electric menu crafted just for their Anaheim location and includes nightly entertainment. Check out which artists will be playing for your next visit or simply head over for a great meal and entertainment.